Monolithic Zirconia Restorations | O'Brien Dental Lab, Inc. When fabricated as a monolithic restoration, zirconia has the highest flexural strength and fracture toughness of any tooth colored material. When properly polished by the dental laboratory, zirconia restorations achieve an extremely smooth surface texture that is kind to opposing dentition. These physical properties have made monolithic zirconia restorations a popular alternative to cast alloy restorations in the posterior region. 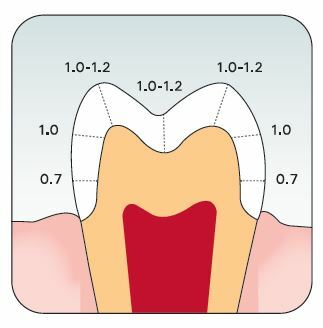 Zirconia is indicated for crowns and bridges anywhere in the mouth. However, due to the optical properties of the material, we recommend its use be limited to posterior restorations. Occlusal*: In order to maintain the extremely smooth occlusal surface of polished zirconia, care must be taken when making occlusal adjustments. For minor occlusal adjustment, it is recommended to adjust the opposing tooth. If that is not possible, the Brasseler Dialite Intral Oral Adjustment and Polishing Kit provides the necessary instruments for reducing zirconia. To properly polish zirconia, the restoration must be polished with a diamond polishing paste. Internal: For minor adjustments, it is recommended to adjust the preparation. If the internal aspect must be altered, a sharp diamond with irrigation is recommended to minimize the generation of heat. *Failure to achieve a mechanical polish of zirconia restorations, by the lab or dentist (after adjustment), can be detrimental to opposing dentition due to the hardness and abrasiveness of unpolished zirconia. Monolithic zirconia restorations can be conventionally cemented with your crown and bridge cement of choice. Due to its crystalline structure, zirconia crowns cannot be etched and therefore cannot be adhesively bonded. For increased adhesion through chemical bonding, Multilink® Automix by Ivoclar is recommended. All restorations are manufactured in our laboratory in Corvallis, Oregon under our ISO 9001:2015 and DAMAS Quality Management System guidelines. This ensures your patients consistently receive only the highest quality restorations. Production time is five working days in the laboratory. Multilink® is a registered trademark of Ivoclar Vivadent, Inc.
Our crown and bridge technical support team of Tony and Craig are available for case consultations. Call 1.800.445.5941 and ask for them, or request a call on your Rx. 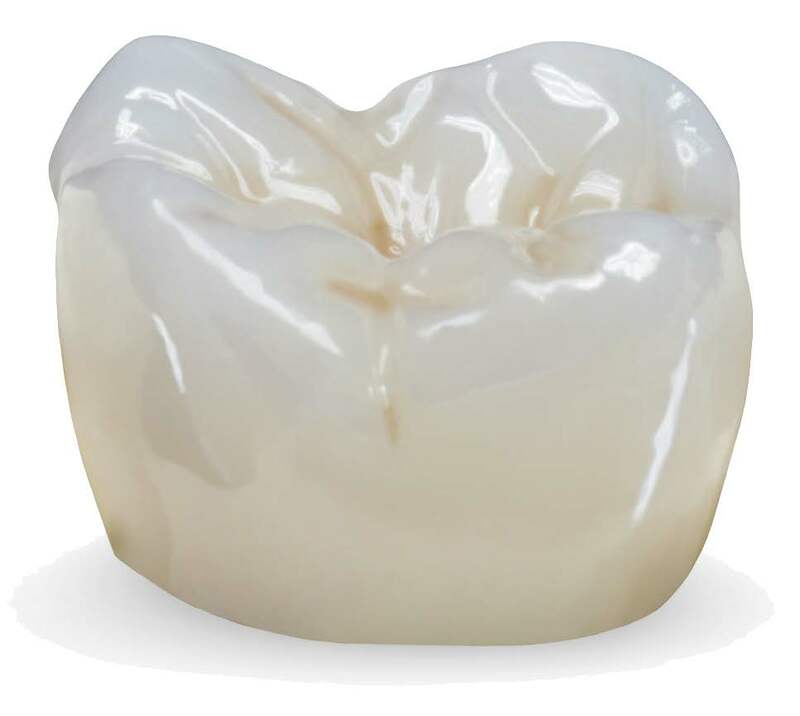 "The physical properties that make zirconia appealing as a restorative material also necessitate that it be properly finished with meticulous attention to detail. It is important that you work with a lab you can trust to do that."